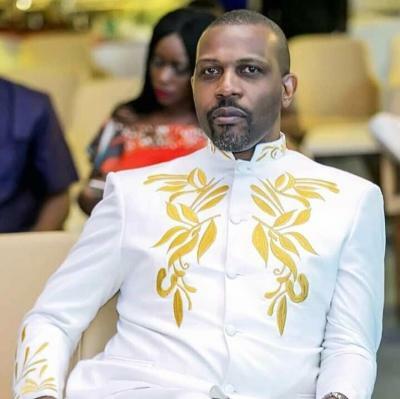 As spontaneous celebrations spread across the lengths and breadths of Rivers state, Prince Tonye Princewill, who is a two-time governorship candidate in Rivers State, has described the results of the governorship election held in the state on March 9 that declared Governor Nyesom Wike as winner yesterday, Wednesday, by the Independent National Electoral Commission, INEC, as the most shamelessly allocated since 2007. Prince Tonye Princewill, says Governor Wike was shamelessly awarded votes by INEC. Princewill who is the Director of Strategic Communications in the Tonye Cole/Giadom Campaign Organisation, stated this on Thursday, in a short statement in his reaction to the May 9 election result declared yesterday in Port Harcourt, recounted how, in the elections in 2007 and 2015, in which he ran as candidate, respectively, figures as votes cast were merely allocated to candidates irrespective of how voters made their choices. Princewill who is son of Amanyanabo of Kalabari kingdom, Prof. Theophilous J. T.Princewill, said that the level of impunity displayed by INEC, and other alleged collaborators, has motivated him to join in seeking justice for Rivers people. Princewill vowed that justice would be done to Rivers people even as he accused some “collaborators” of murdering sleep. Meanwhile, some streets of Port Harcourt and other parts of the state are agog with celebrations of Governor Wike’s reelection. One Precious Umasoye Macforex, a diehard supporter of Governor Wike, is trekking from Ahoada to Port Harcourt to celebrate Governor Wike’s victory. The last photos tracking him show that Precious Umasoye Macforex just Passed Elele, Rumuekpe and Ndele Communities along East West Road…Heading towards Emohua Council Secretariat Now! At time of filing this report, his friends on the Social Media were commending his efforts. Some even promised to buy him refreshing drinks as trek pass them. It was not clear if Government House, Port Harcourt will be his terminal point.